Build the basketball court of your dreams! 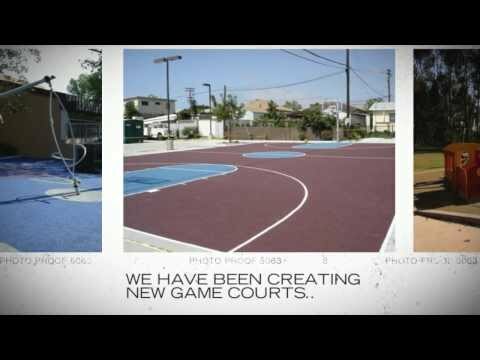 Looking to build a new game court for your home, school or park? Our tennis court construction company has been serving the local area since 1989 giving us decades of experience. We offer all in one services including the design, construction and resurfacing of basketball courts and all other types of game courts. We also design and build playgrounds for your public or private property. Our talented designers and staff have the ability to give you the landscape of your dreams, as well. Call us today for your next project!